Can quarterbacks play past the age of 40? We love to believe that our favorite players will play forever, but the truth is that at every position in football there’s a hard stopping age. An age that when a player reaches it, his skills have usually diminished to the point of uselessness. The running back position is a young man’s game, and when those players reach the ripe old age of 30, the story of their careers is over. Wide receivers can generally play until their mid 30s if they don’t take too many hits and are able to alter their game to one that relies on skills and smarts instead of speed. Quarterbacks however, can occasionally play into their 40s. A pocket passer with a stout offensive line doesn’t take much physical abuse, and can therefore play a lot longer than players at most other positions who are grinding their bodies down on every play. Last year, only Matthew Stafford was in the top five in passing yardage and under 35 years old. Quarterbacks generally take longer to develop. They spend their first few years learning how to be a starter in the NFL and then hit their prime in their late 20s/early 30s. Right now there are five starting quarterbacks who will begin this season at 36 years or older: Tom Brady (41), Drew Brees (39), Eli Manning (37), Philip Rivers (36), and Ben Roethlisberger (36) (Josh McCown will also be 39 but it remains to be seen if he’ll be a starting quarterback). These quarterbacks, in the twilights of their careers, have been staples of the league since the early 2000s, but how much longer do they have? What does age 40 really mean for a quarterback? 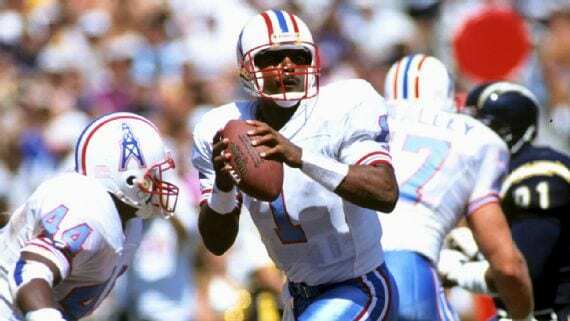 In the history of the NFL there have been a total of only 19 quarterbacks that were on an NFL roster at age 40 or older. Fourteen of those players didn’t even start half of a season, and only three of them had worthwhile seasons. Moon actually played five seasons in his 40s, but the only one that can be considered successful was in 1997 when he was 41. He started in all but two games and led the Minnesota Vikings to a 9-7 record, which earned them a Wildcard playoff berth. He then led them to a Wildcard win over the New York Giants before losing in the divisional round to the San Francisco 49ers. Moon went to the Pro Bowl that year and led the league in yards per game with 245. In his four other seasons over age 40 however, he went 8-11 in 19 starts. Towards the end of Favre’s career, he made it a tradition to flirt with retirement for a few months before inevitably coming back for another season. 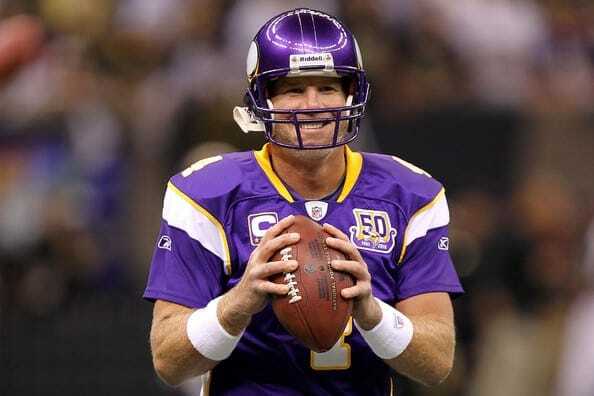 After his one-year stint with the New York Jets in 2008, the Vikings signed him for his age 40 season, which happened to be one of the best statistical years of Favre’s career. Favre led the Vikings to a 12-4 record and a first round bye in the NFC playoffs. After obliterating the Dallas Cowboys in the divisional round, the Vikings lost to the Saints in the NFC Championship, which ended on a Favre interception. He threw 33 touchdowns that season compared to only seven interceptions. He owned the best interception ratio in the league that season at 1.3, which was also by far the best of his career. Favre then made the mistake of coming back for another season that saw him throw only 11 touchdowns to 19 interceptions. He went 5-8 as a starter and then had to sit due to injury. Brady had an incredible age 40 season as recently as 2017. Last year he led the league in pass attempts and passing yards and had a passer rating of 102.7. 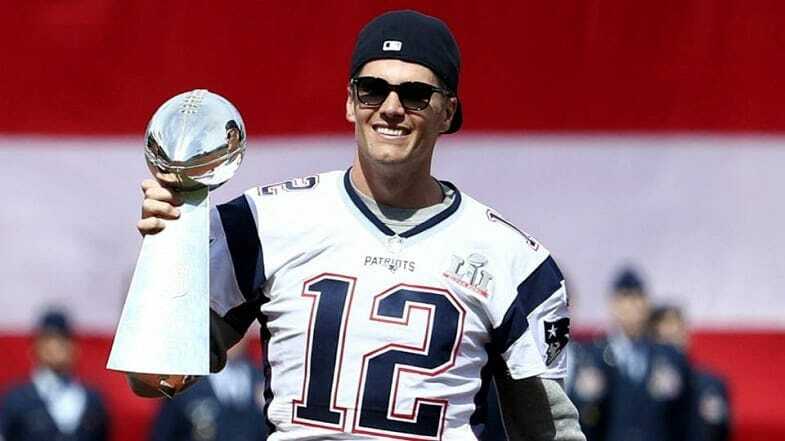 He led the Patriots to the Superbowl for the eighth time in his career and came extremely close to winning it. If Tom Brady has another successful season in 2018, he’ll accomplish what no quarterback has managed to do before. Brady fans will tell you he showed no signs of slowing down last season, but I beg to differ. Over his first ten games of 2017, he had six games where he threw for over 300 yards and only two total interceptions. Over his last six games however, he had zero 300+ yard games and six total interceptions. Of course, he did manage to throw for 500 yards in the Superbowl, but I doubt he’ll be able to get hyped up like that for every game of the regular season. The writing is on the wall for all of our beloved aging quarterbacks. While they may not have shown a decrease in level of play last season, it’s coming soon. Most great quarterbacks don’t even make it to 40. Peyton Manning was a joke in his final season (age 39), and Joe Montana, Dan Marino and John Elway all retired at 38. Let’s enjoy what we have left in Brady, Brees, Rivers, Roethlisberger and Manning, because all good things come to an end, and good things become very bad things after age 40.